Villa Echium is a beautiful house with two separate apartments, a top floor with two bedrooms and a ground floor with one bedroom, but with the possibilities for sleeping 3 persons. 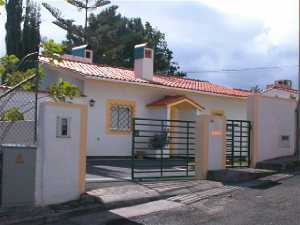 It is situated in the posh villa area 5-10 minutes by car (10 Euros by taxi) from the centre of Funchal. 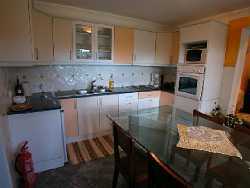 It is however just 2 minutes by foot away from good restaurants, supermarkets, bakeries and bottle stores. 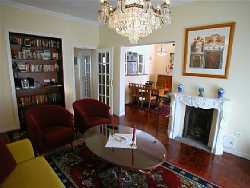 The top apartment, with its classical decoration, has a terrace with view to the sea and over the garden. 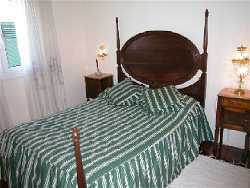 The more modern decorated bottom apartment has direct entrance to the garden from the lounge and bed room. 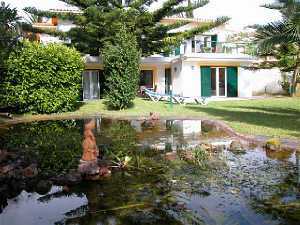 There are possibilities for grilling, relaxing in the garden with its pond and just enjoying life. Vila Echium provides the extra service of a maid each day (except on Sundays) at no extra cost. 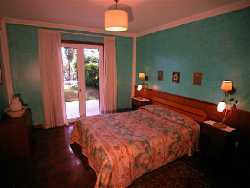 Cleaning of the apartments, change of linen, provision of blankets, and other amenities are all provided for and are included in the daily rate. The distance to the sea is 500 meters. The golf courts are 5 and 10 minutes away by car. 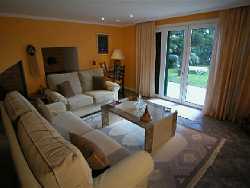 There is diving, tennis, walking, jogging and sailing sports available in the immediate area. Funchal is the city centre for shopping, 5 minutes away.